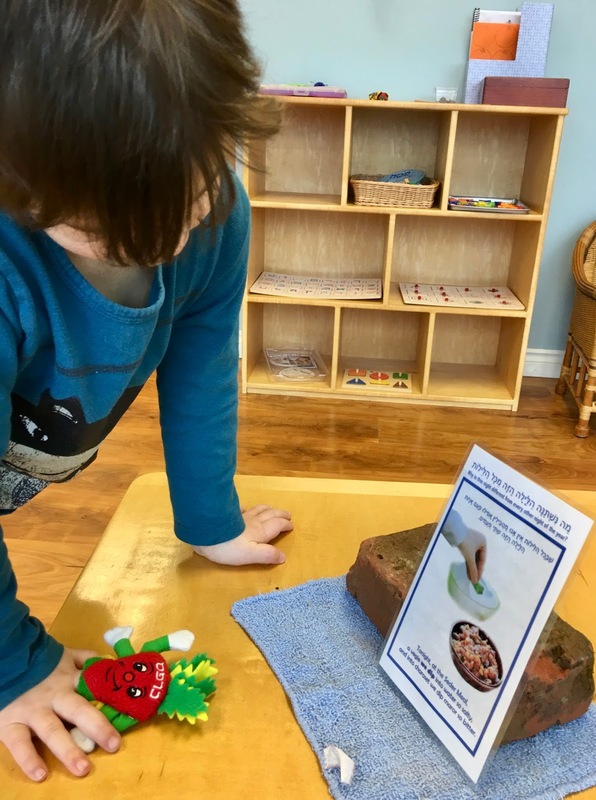 We found some new and interesting things in our classroom this week. Mason/Jade/Lochlan: Why is there a brick in the classroom? 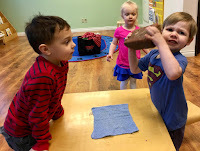 Jade: I have bricks in my house, they build my house. Mason: Yeah people use bricks to build stuff. 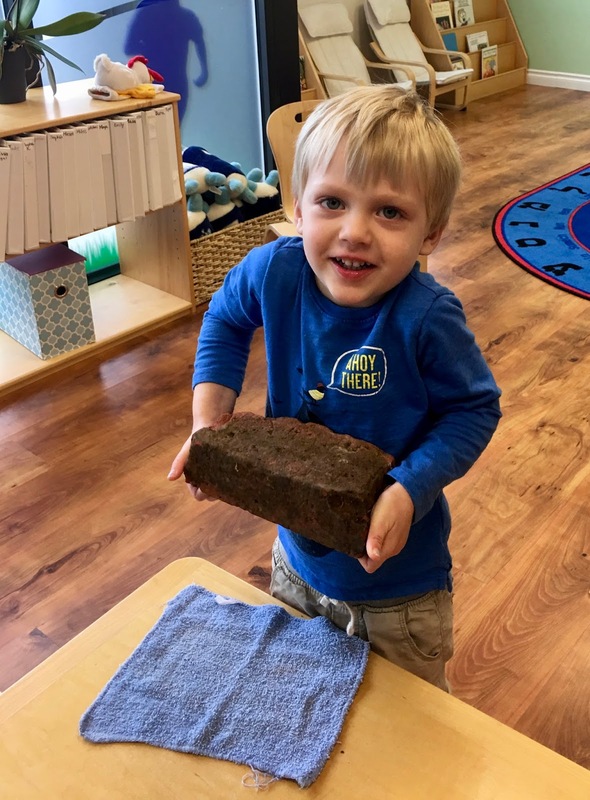 Lochlan: Lots of buildings have bricks. It is heavy, but I am strong. Miles: I am strong, I can lift it. Oh IT is heavy. 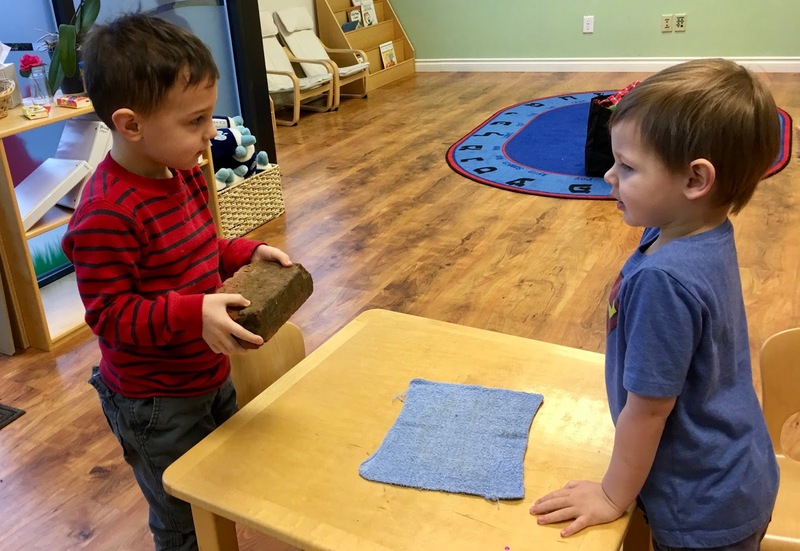 Mason: Yeah it is heavy. We found some familiar things. Sadie saw the brick, took her notebook down and looked for a certain picture. 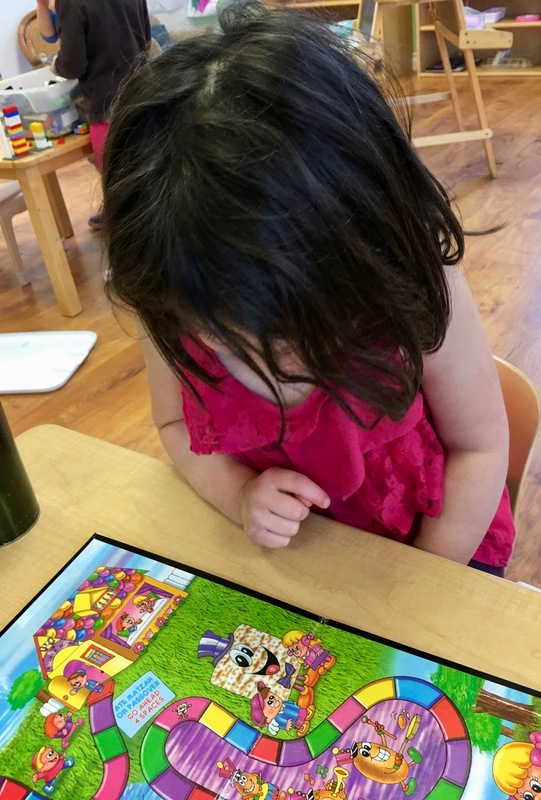 Once she found it, she began to search for that activity in the classroom. When she found it, she matched it to last years picture. Olivia: I wish I knew more of my Hebrew so I could tell Piper what these are. I know they are for a holiday. 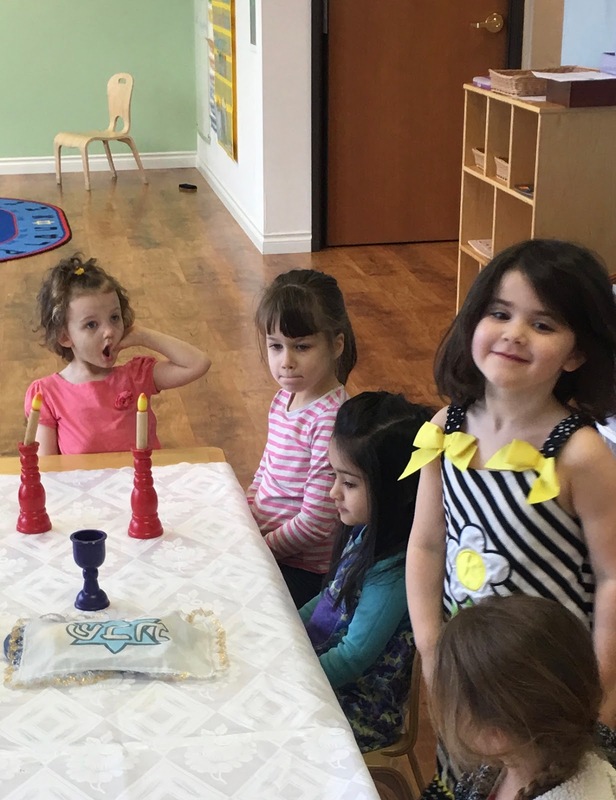 Morah Katie: Do you remember the name of the holiday? Olivia: It's not Purim because that just happened. It's Passover. Matan: These guys, I know them. Matan: What is that, why are they dipping? It looks like the brick. 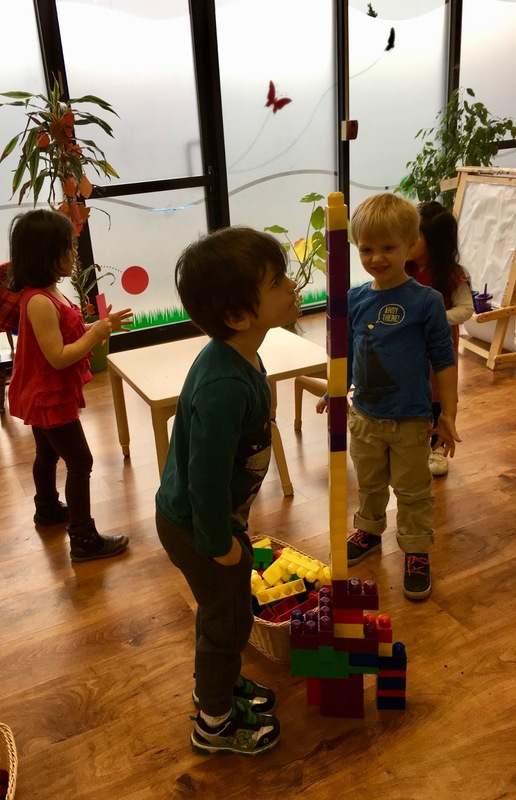 Morah Katie: I know, isn't it interesting? 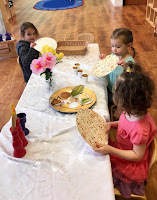 I'm so excited to get busy with all our Passover, Pesach, activities. The new items in our classroom are getting us excited to learn more about our upcoming holiday. We discovered we are going to eat a very special meal. Morah Katie: Think about what you may have had for dinner last night. Raise your hand if you remember. At my house we had some chicken and avocado with some rice. Matan: Chicken. And we had cups to drink with. Maya: Mushrooms, potatoes and garlic butter. We had some spoons, forks, food. Olivia: Fish sticks and kale salad. Yeah, we had the plates and stuff to eat with. 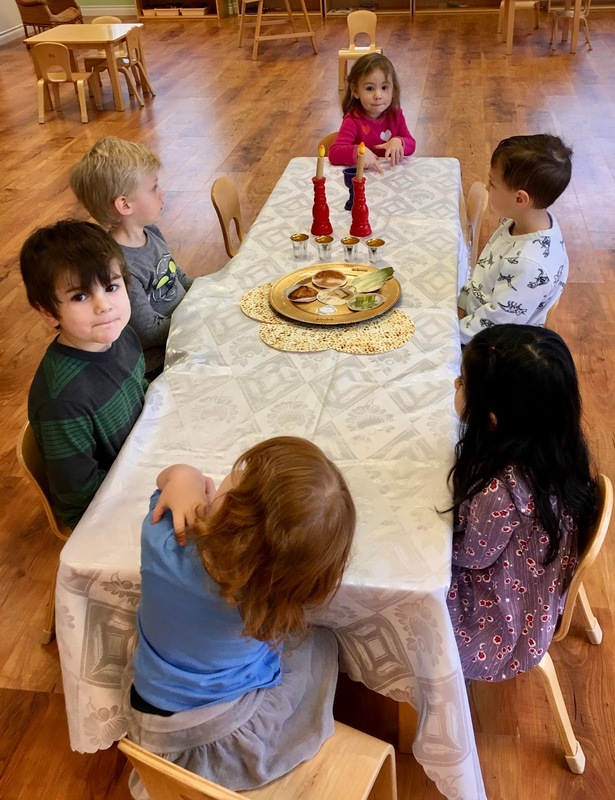 Morah Katie: Think about your Shabbat dinner table. Shabbat dinner is not just any dinner. 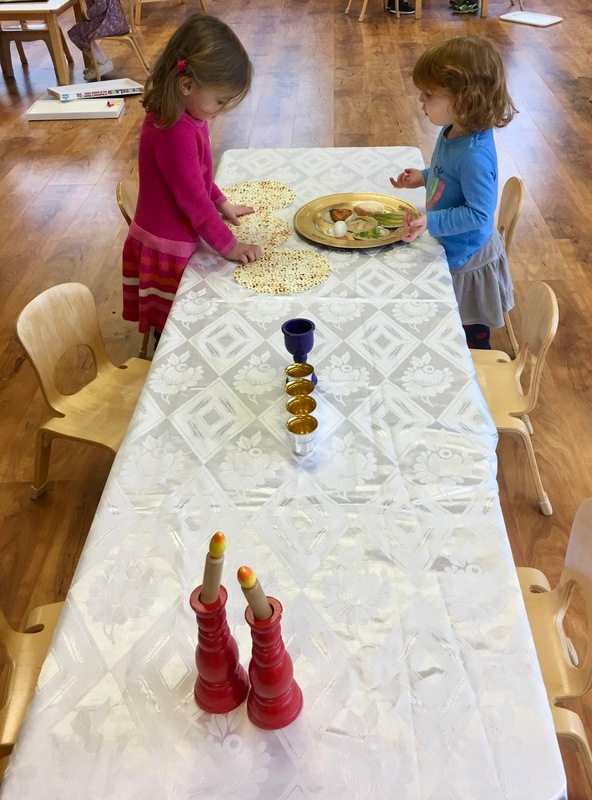 What are the special things you put on your Shabbat table? Morah Katie: Guess what? Pesach ba, Pesach ba, Passover is coming Passover is coming. It is a very special day and we eat a very interesting and different dinner. Lochlan: From the Seder plate. Olivia: And we can keep this cup for Elijah. 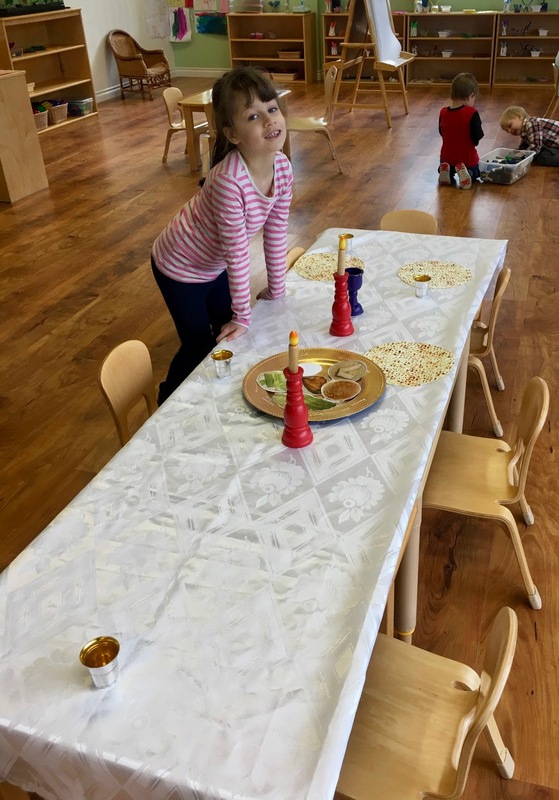 Morah Katie: Our table has transformed! 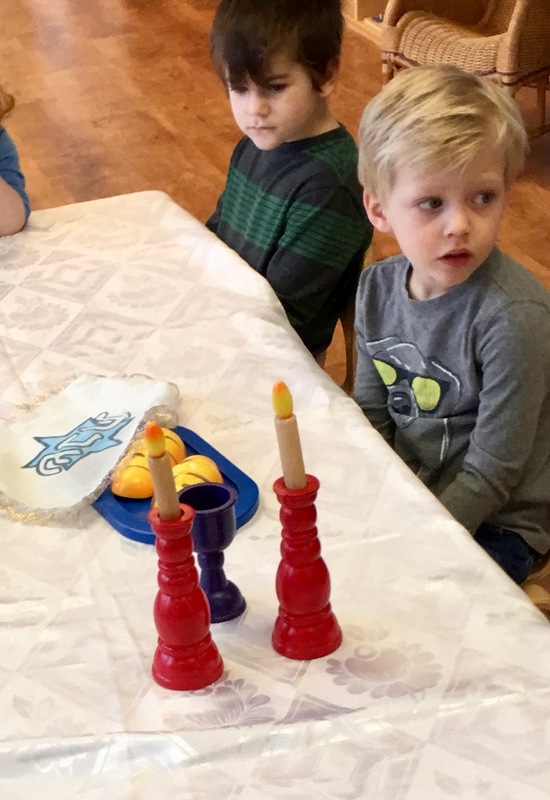 Morah Katie: What does a Shabbat dinner and a Seder dinner have in common? Jade: Look, it's matzah on the game.